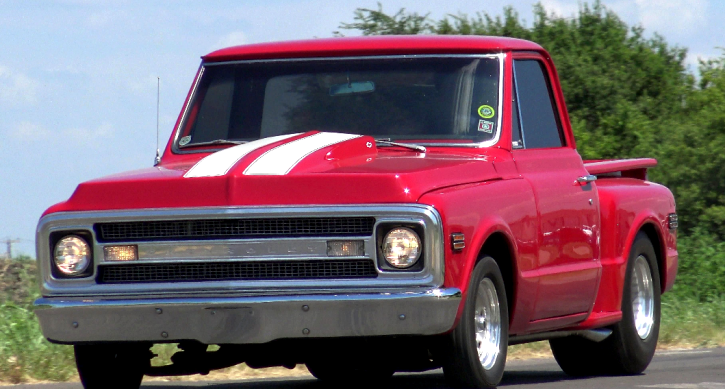 Awesome 1969 Chevrolet C10 Build at Fast440! With the proper old school appearance, the right performance mods and snarling V8 under the hood this 1969 Chevy C10 is a real deal Pro Street truck. The Red paint with dual White striping and the Centerline drag wheels wrapped in Mickey Thompson’s are letting us know this pick up truck is built for go. On the inside this Pro Street 1969 Chevy C10 looks pretty fresh as well in Red and Black and has the necessary goodies to give you a better feel of the power. Speaking of power this Chevrolet Truck sports a beefed up 468 cubic inch Big Block V8 engine linked to TH400 automatic and 12-bolt posi rear end. 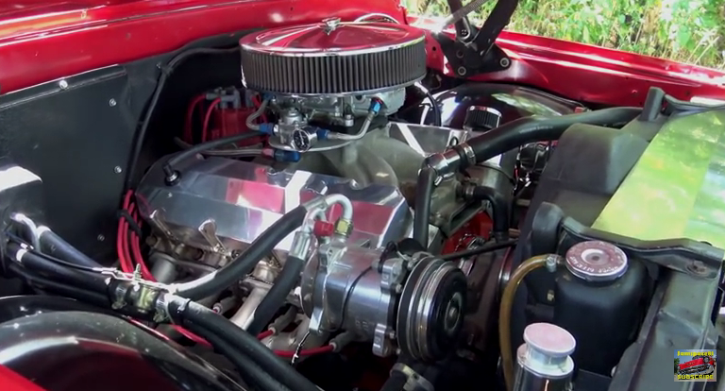 Check out Samspace81’s video to see this Pro Street truck flexing muscle. Watch, Enjoy & Share!